Free Shipping Included! 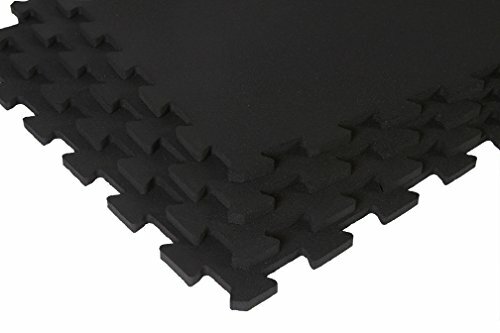 Supermats Superlock Interlock Heavy Duty Recycled Rubber Weightlifting Anti Fatigue General Purpose Flooring - Middle Tile Solid black by SuperMats at Cardio Fitness Plus. MPN: SL-M BLACK: 4. Hurry! Limited time offer. Offer valid only while supplies last. SuperLock protects and insulates floors with its exclusive interlock system. The tiles require no messy adhesives or tape and installs in minutes.